They are an enduring and integral part of the health and safety of every organization. They help protect workers and employers and can contribute to a company’s bottom line. Every day, they help identify hazards and save lives. What am I talking about? Inspections. Few people stop to consider how critical inspections are to work site operations. Accordingly, in this issue of The SafetyNET Magazine, I asked our contributing writers to feature workplace inspections by explaining how companies can better understand, implement, and approach them. In his article, “Inspections vs. Audits,” Mark Taylor explains the key similarities and differences between these two work site staples to help you better understand and leverage them in your workplace. In her article, “The Human Element,” Donna Kaluzniak highlights the type of inspection that companies most often overlook: behavioural inspections. In the final article of our inspection series, “Inspections: Making a Friend of a Foe,” Robin Brunet interviews Ted Lane, former technical advisor for the Government of Alberta, to discuss, among other things, the importance of an employer’s attitude and outlook toward inspections. 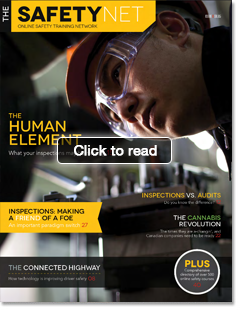 In addition to providing you insight into inspections, this issue covers two topics on the forefront of our changing times. In “The Connected Highway,” Aalyssa Atley explains how new technology could soon make our roadways safer. In response to the forthcoming change in Canadian marijuana legislation, in her article, “The Cannabis Revolution,” Alison McMahon discusses how employers can prepare. As you read this issue, my hope is that you enjoy learning new ways you and your company can benefit further from inspections and you come away more informed about changes on the horizon. Advertising in The SafetyNET magazine is a great way to reach thousands of HSE and HR executives and managers across Canada. 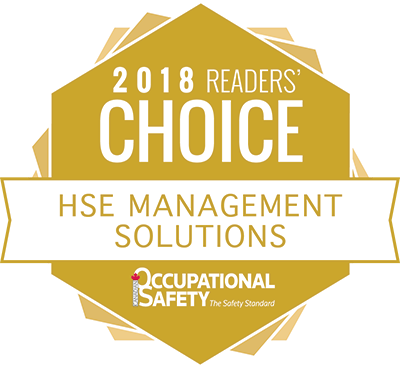 The SafetyNET magazine is direct mailed to thousands of HSE and HR executives and managers with thousands of additional electronic copies being emailed each year.